Ever since the announcement of Google Glass, there have been numerous concerns over the privacy of the product. One such matter was geared towards the facial recognition feature. It seems that due to the increasing worries of privacy when it comes to facial recognition, Google has put a hold on that feature as of now. They expressed on their Goggle+ page that they have listened to the customers and it appears to them that there have been interest and concern surrounding the feature. However, they state that they have said before that they will not add facial recognition without strong privacy protections in place. So, it appears they have yet to discover a strong privacy protection over it as of now and it appears may not be any time soon. This is a smart call for Google, seeing as there have already been numerous concerns about Google Glass, so taking one of the biggest concerns off the table may help cater to popular opinion. As mentioned above in the last sentence of the guidelines, it will not be approved at this time. This most likely means they have a whole team of people working towards making the privacy protection of the feature strong enough to subdue current concerns. 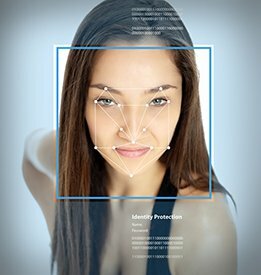 With Google taking facial recognition software off the table; does this mean that we are going to see more features drop off as well? Google Glass has been the center for debate for a while now, with more concerns than just facial recognition, so with this blow to Google Glass, it appears there may be more coming before its actual release.